Cozy apartment directly in ground floor in our central but quiet historic timbered house next to the oldest church in Wernigerode with room for max. 3 adults. The combined living room and bedroom is tastefully decorated and offers a new furniture as a visual highlight and a painted cabinet from the 18th Century. The double bed has the size 2.00 meters x 1.40 meters, the sofa bed size 2.00 meters x 0.90 meters. The windows facing the street can be additionally closed with shutters that can be operated from the inside. The kitchen is also newly furnished and offers in addition to a complete kitchen equipment with gas stove, oven, microwave, fridge and freezer many other useful details. In the modern bathroom with shower, toilet, mirror cabinet and hair dryer is also a washing machine available. 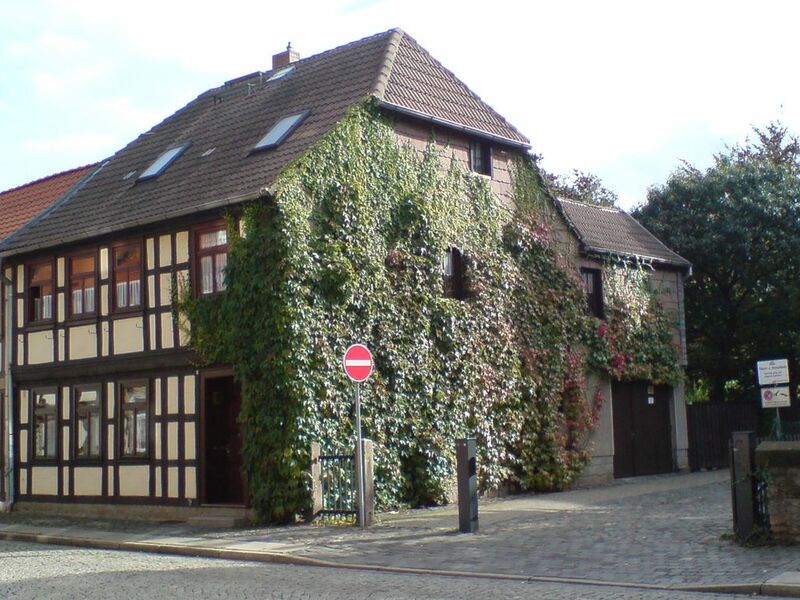 Our apartment is located directly in the historic old town of Wernigerode, very close to the center but still quiet. Within short distance you can reach all important sights and means of transport (train and bus). You can park your car for free directly in the Green Street near the house. You will receive from us for the duration of your stay a parking permit for the inner city area. The pure distance to the approx. 300 meters distant DB-main station, to the station of the resin narrow-gauge railway and to the central bus station lie back in 10-15 minutes, so that our apartment is particularly recommended also for railway and bus travelers.